Craig Lewis of the Clean Coalition explains the significance of new planning requirements in California. Assembly Bill (AB) 327, which California Governor Jerry Brown recently signed into law, sets an important precedent for the rest of the country. Surprisingly, that precedent does not have anything to do with net metering, the original focus of AB 327. The new law requires California’s large investor-owned utilities to do what every utility should be doing: proactively planning for a distributed power system. The rapid deployment of distributed generation (DG) and the anticipated proliferation of additional distributed energy resources (DER) are transforming the power system. DER -- including DG, energy storage, demand response, and advanced inverters -- increasingly offer a cost-competitive alternative to transmission-dependent conventional generation. And modernizing the grid with DER delivers additional benefits, including greater system efficiency and increased reliability. As these benefits are further analyzed, quantified, and monetized, the deployment of DER will continue along its rapidly accelerating trajectory. Yet few utilities are actively planning for the substantial growth of DER. A fundamental shift in the power system requires a similar shift in grid planning, which guides the investment of billions of ratepayer dollars into generation, transmission, and/or distribution. A new approach to grid planning, one that recognizes the full value of DER and identifies optimal locations for deployment, is needed to ensure that ratepayer dollars are efficiently invested in a smarter, cleaner, and more resilient grid. Traditionally, grid planning has followed a simple business-as-usual paradigm. Central generation power plants and necessary transmission infrastructure were planned to meet forecasted growth in electrical demand. Now, distributed resources offer a superior pathway to meet system needs. Although planning for DER presents a new challenge, the integration of DER is urgently needed. 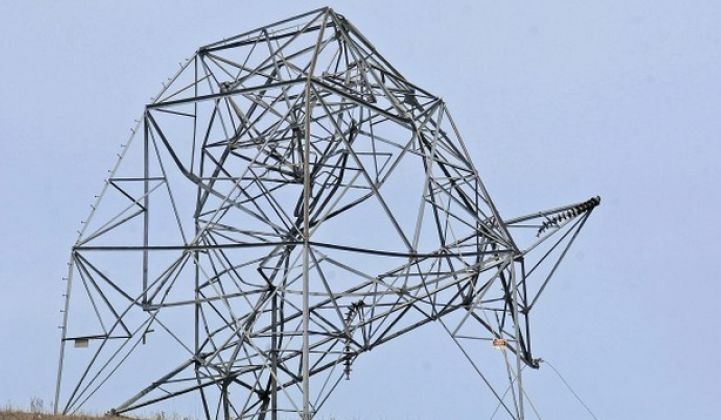 Without considering DER in grid planning, ratepayers will face large stranded costs associated with business-as-usual investments in central generation and transmission infrastructure, which have decades-long lifespans but will likely become obsolete well before they need to be retired. Grid planning must evaluate opportunities for DER and identify key sites on the grid for these technologies. Location matters -- not every kilowatt-hour is equal in value. For example, if DER can reduce load in a constrained area, the value of congestion avoidance and enhanced reliability must be fully considered in planning decisions. Proactive planning is an essential step for identifying locations where distributed resources offer immediate and superior alternatives to transmission lines and central generation. Long Island Power Authority (LIPA) has proven the efficacy of planning for DER. The New York utility, which has severe transmission constraints in certain portions of its grid, recognized that distributed generation offers the most cost-effective solution for meeting growing demand. Through its CLEAN Solar Initiative, LIPA aims to bring 40 megawatts of local solar on-line in one of its constrained regions. This move will save LIPA ratepayers $84 million by deferring -- and potentially eliminating the need for -- expensive transmission grid investments. Continuing to blindly invest in centralized generation and transmission to meet demand is a poor use of ratepayer money when distributed resources are a more affordable option with significant additional benefits like enhanced reliability. Unfortunately, many utilities have yet to follow LIPA’s lead. 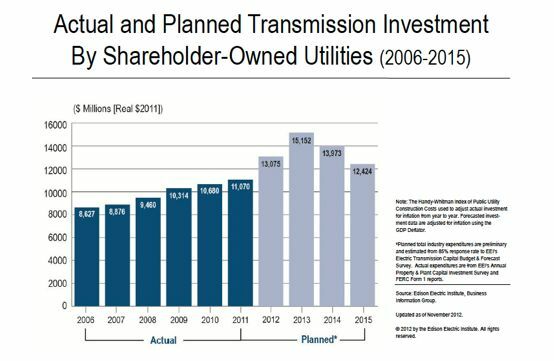 According to the Edison Electric Institute, investor-owned utilities plan to spend an additional $54.6 billion on transmission infrastructure through 2015. These investments should not be made without thoroughly evaluating DER alternatives. This law, which brings together years of Clean Coalition work, marks a significant step forward in smarter grid planning and will ensure that California ratepayers, like LIPA ratepayers, are protected from unnecessary investments in an outdated power paradigm. Regulators and utilities are charged with protecting ratepayers. Given that distributed energy resources often offer superior value, they will play an increasingly large role in the power system. Proactively planning for DER will reduce bad investments while also preparing the grid for a clean, efficient, and resilient energy future. Craig Lewis is the executive director of the Clean Coalition, a nonprofit organization whose mission is to accelerate the transition to local energy systems through innovative policies and programs that deliver cost-effective renewable energy, strengthen local economies, foster environmental sustainability, and provide energy resilience.